Find My Workspace lists over 95% of the coworking space & business centers market in Chaillot. Simply click Request Quote to check pricing for one office, or Add to Basket for multiple offices. This modern building is located in a prestigious area and provides a large range of useful services for your business. 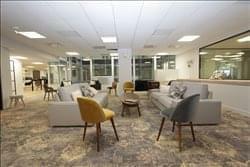 The business centre is accessible 24-hours a day and offers various amenities such as serviced offices, shared offices, copying facilities, a small gym, showers, a sauna, a kitchen, IT room. Offices arrive fully furnished and have access to a friendly on-site reception team, who can take care of any clients before you meet them, as well as deal with the general administrative duties throughout the day. Additionally, there are spacious meeting rooms available on-site which are great for networking and general collaboration purposes. To obtain information for your selected Chaillot Coworking Space & Business Centers, please tick the "Add to basket" box for each office you prefer and complete the form below. We will then send a detailed report via email.